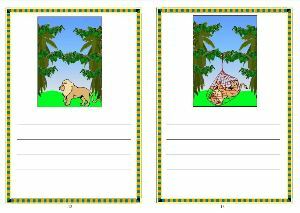 A lovely collection of resources,designed to aid in the development of children's story telling to promote writing. 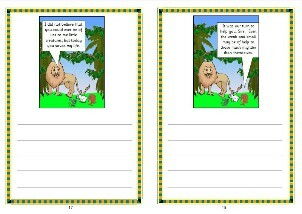 I have used these collections to help encourage groups of reluctant young children to write - with remarkable results! 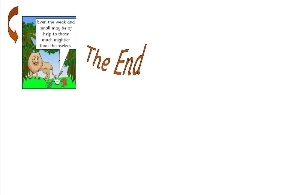 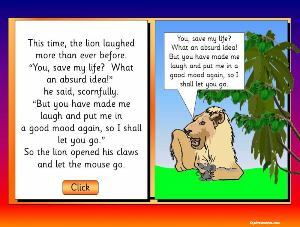 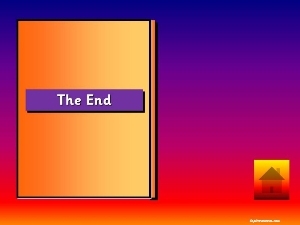 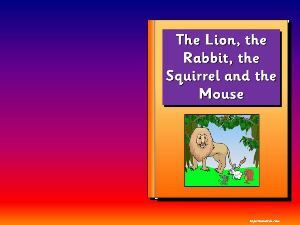 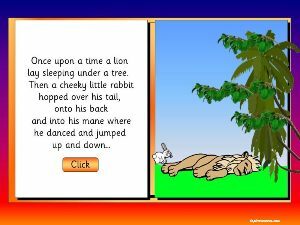 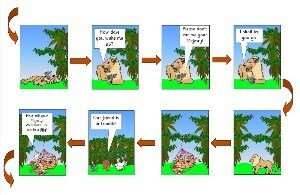 A Powerpoint presentation of the story of "The Lion, the Rabbit, the Squirrel and the Mouse" including action buttons, animations. 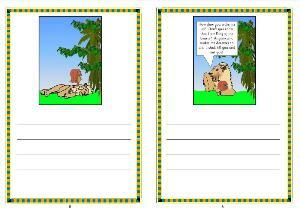 Please click here for a preview of sample slide in action. 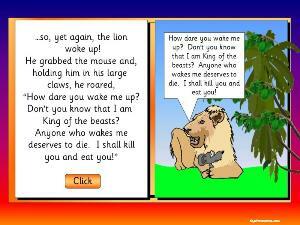 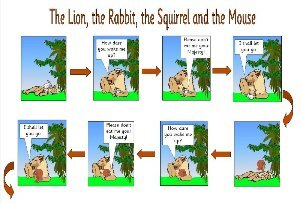 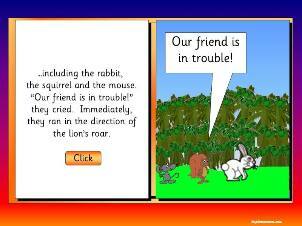 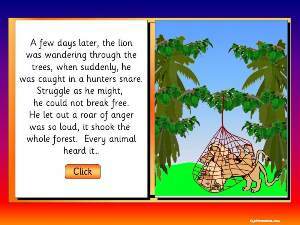 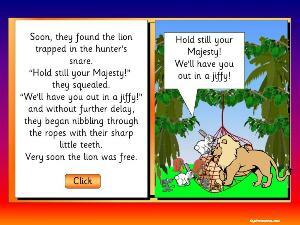 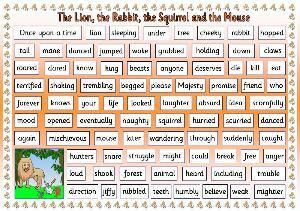 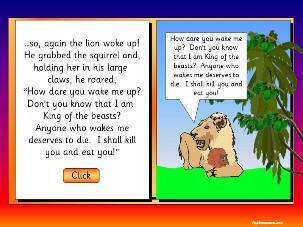 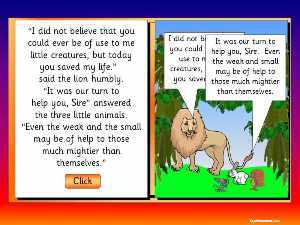 Resources relating to the story of The Lion, the Rabbit, the Squirrel and the Mouse. 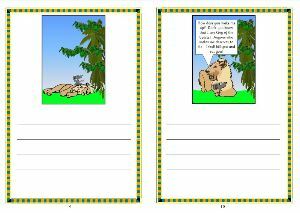 Slides 1, 2 and 3 - A story pathway using the same pictures as the story presentation. 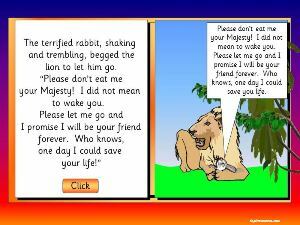 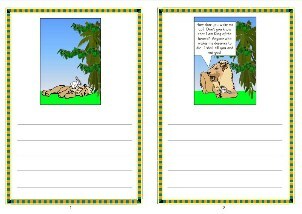 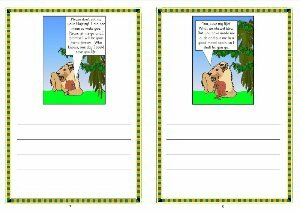 Slide 4 - A story mat using the same language used in the story presentation. 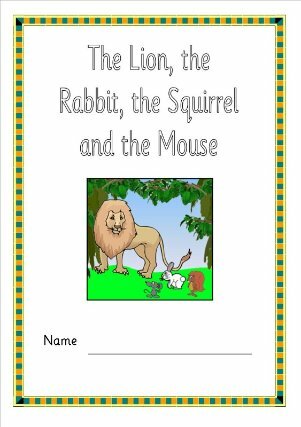 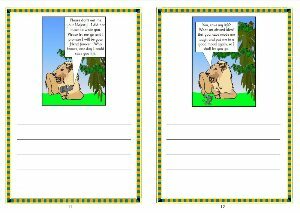 The Lion, the Rabbit, the Squirrel and the Mouse story booklet - please be sure to fold each page down the middle of the images when assembling and trim accordingly. 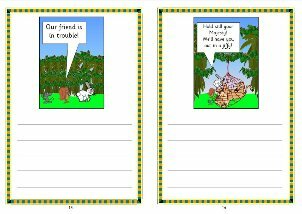 The shaded areas in the table below indicate areas of learning addressed through our resources.